Posted on November 24, 2014 by Diana Nicoll	in Finding advice. Do you work with people who are experiencing financial difficulties? 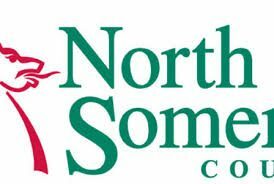 There may be support from North Somerset Council’s two local welfare schemes for North Somerset residents. A Discretionary Housing Payment is a fund available to residents who are in receipt of Housing Benefit and find they have a shortfall between their housing benefit payment and their rental liability. This grant is a means-tested allowance taking into account an applicant’s circumstances. Local authorities had their funding increased to take account of the changes and the council is keen to make sure that people have the opportunity to make a claim for where they might be able to benefit from a top up. For more information download North Somerset Council’s discretionary housing payments policy and to make a claim download and complete a discretionary housing payment application. If residents require help or advice then please contact North Somerset Council’s Housing Benefit customer services centre on 01934 888144. Where the customer requires assistance to maintain their independence within the community. To make a claim, contact the WPS team: 01934 8880035 or 0800 138 5665, Monday to Friday, between 8am and 6pm (Freephone number; may incur additional cost for a mobile phone). More information can be found in North Somerset Council’s publication. You can visit a support organisation to help you apply for these two schemes. Search our Advice Directory under Benefits.